The biggest trend in fitness is High-Intensity High Interval Training and nothing is more popular than Cardio Kickboxing. People love the idea of coming into the gym, putting on gloves and beating up the heavy bags! At Las Vegas Krav Maga you can do just that with our Fitness Kickboxing classes, known in-house as STRIKEFIT! We know that most people would love to have the body of a professional athlete. They’d love to look in the mirror and see themselves becoming leaner, and their clothes fitting better. But what stops most people from achieving their goals is that they do not know how to push themselves while they work out. Let's put an end to that today! 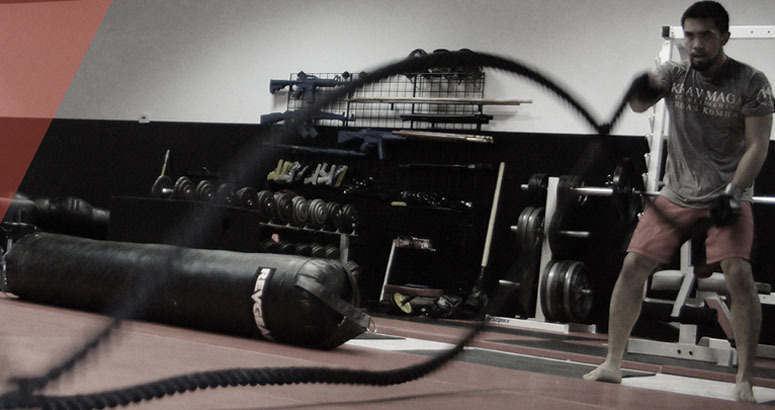 StrikeFit is the most dynamic Fitness Kickboxing training program in Las Vegas. This program combines the training regimens of the worlds' top fighters with some of the most intense functional fitness movements and exercises known to man - and the results are unmatched. Our StrikeFit instructors will push your body through 60 minutes of intense Fitness Kickboxing training each and every class. You will train like a fighter without having to take the punishment that fighters take! This class is great by itself or it is a great addition to your Krav Maga training. Either way, get ready to train harder than you ever have in your life! Our Fitness Kickboxing classes at Las Vegas Krav Maga are not limited to experienced fighters or highly trained athletes. We invite people of all backgrounds and experience levels to give it a shot. But be prepared for gains like you've never seen before. To get started or request more information, simply fill out the form on your screen now. We'll see you soon!